Plato knew what he was talking about when he wrote that. I always figure that if I’m confronted by someone who is angry – and it’s super obvious by what they say or how they say it – there must be a reason for that anger. I know I’ve not been on my best behavior when things have gone south in my day, week, or month. 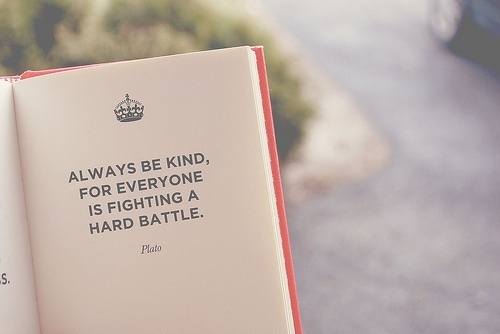 I try to remember that others have their own battles to fight and sometimes everyone else gets caught in the crossfire.